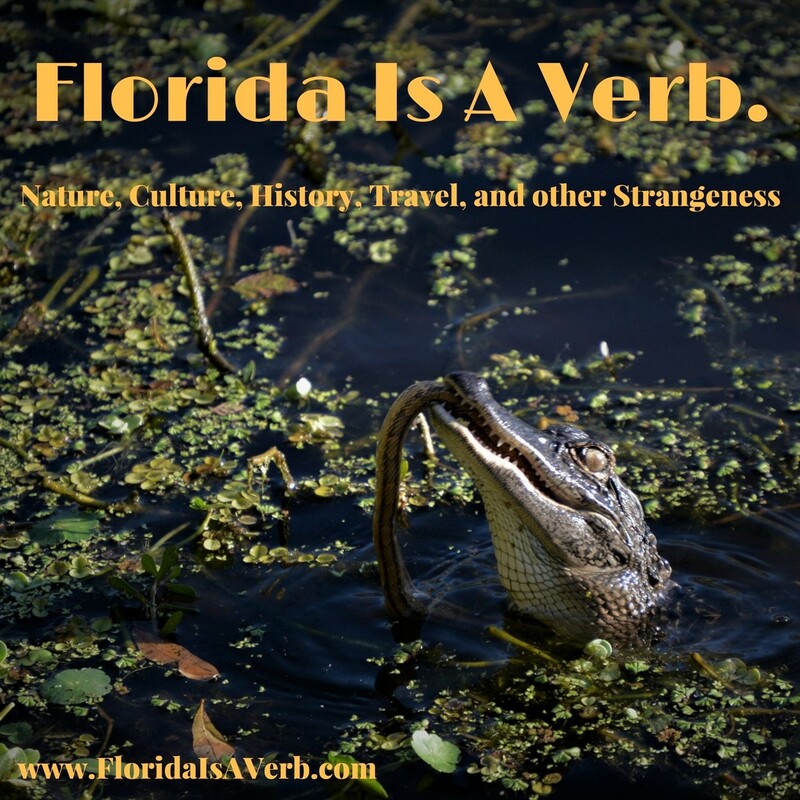 Florida Is A Verb: Guest Post: Chinsegut Hill, or why was an oak tree in Brooksville dedicated to the memory of V.I. Lenin? 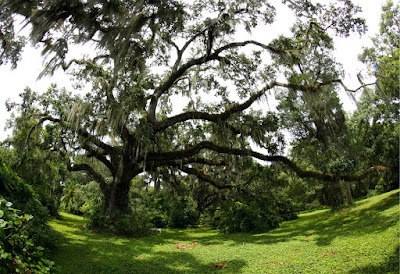 Guest Post: Chinsegut Hill, or why was an oak tree in Brooksville dedicated to the memory of V.I. Lenin? Chinsegut Hill Plantation is the only place I can think of where the history of slavery, Soviet Communism, and New Deal idealism, all come together in one location. I stumbled into Chinsegut almost by accident. My mother and I had planned to go to Weeki Wachee, but it was closed due to over-capacity, so we had to find an alternate plan after having driven an hour north from St. Petersburg. Then I remembered having heard about a historic plantation in Brooksville, and thanks to my smart phone, I managed to map my way there. After going up a surprisingly hilly driveway for Florida, we came up to the old plantation house. Perched on a hill and surrounded by massive ancient oaks, the home looked out over about as lovely a vista as the state of Florida can offer. 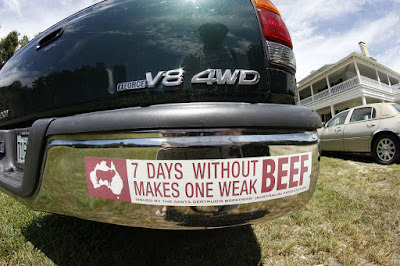 The home looked deserted, other than a USDA truck extolling the value of beef. Upon entering, we were greeted by the director of the museum, who gave my mother and I a personalized tour, which covered, in incredible depth, the unique history of the place. 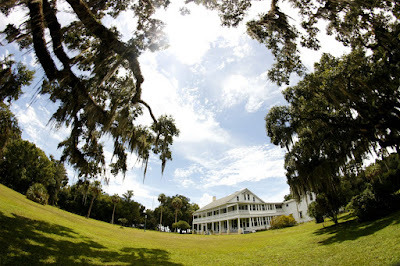 The plantation had its start at the end of the Second Seminole War, when Colonel Byrd Pearson laid claim to 160 acres under the Armed Occupation Act, naming it "Mount Airy" and cultivating sugar cane using slave labor. He sold the plantation to Francis Higgins Ederington in 1851, who built the manor house you see today. In 1866, Colonel Russel Snow took possession of the property, renaming it Snow Hill. The home fell into disuse and deteriorated greatly. Things radically changed when the property was acquired by attorney, minister, and social reformer, Raymond Robins, with the help of his sister, actress and writer, Elizabeth Robins, around 1904. They renamed the property Chinsegut Hill and performed substantial renovations. But most significant were the political connections which were brought to the property. During the Russian Revolution, Raymond Robins was appointed by President Wilson as the Commissioner of the American Red Cross Mission to Russia. While there, he regularly met with leaders of the Communist party, most notably meeting with Lenin four times a week for five months and developing a close friendship with him. 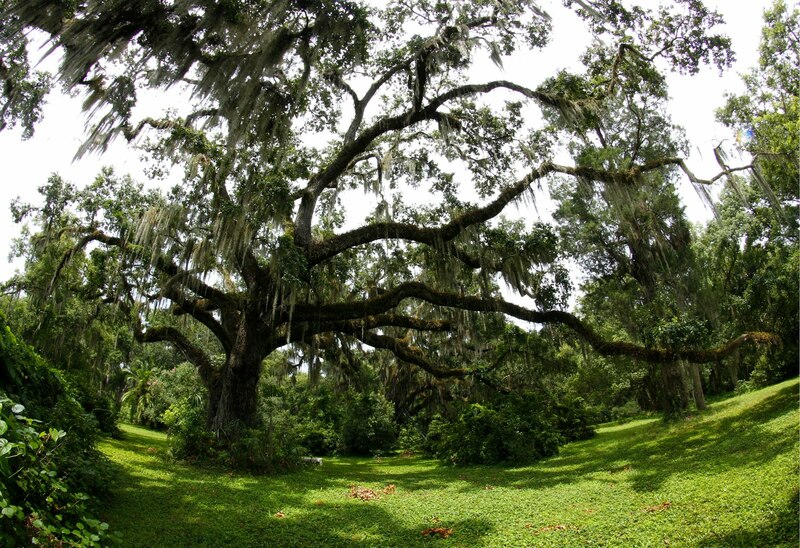 Raymond's wife Margaret planted an oak tree on the property dedicated to the memory of Lenin. This caused some controversy a couple of decades later, when some Boys Scouts discovered the dedication plaque and began rumors of communist activity on the property, ending in the plaque's removal after demands from State Senator Nick Conner and Representative John Ayers. Note: this may or may not be the Lenin Oak. It is unclear, since the plaque was removed. Raymond Robins advised every US president from Teddy Roosevelt to Franklin Delano Roosevelt., while his wife Margaret Robins served as the president of the National Women's Trade Union League for 18 years. The home hosted numerous prominent guests including Helen Keller, Jane Adams, William Jennings Bryan, Thomas Edison, and Soviet ambassadors. The Robins were noted for their consideration for their workers and members of the community. This led to their downfall. Following the stock market crash of 1929, the First National Bank in Brooksville, on whose board Raymond Robins served, was facing collapse. Although in no way obligated to do so, the Robins felt that they couldn't let the people they knew lose their savings, so they used their personal fortune to shore up the bank. This left them destitute and unable to pay the taxes on the property. Their political connections came to the rescue. Raymond Robins brokered a deal with President Roosevelt that would allow them to live the rest of their lives in the house, tax free, if they turned the property over to the government. They'd worked hard to establish new farming techniques and dreamed that the US Department of Agriculture (USDA) could use the property to keep developing new, more efficient ways of feeding the world. Along with the USDA, the property also served as a staging ground for the Civilian Conservation Corps. Following the deaths of Raymond and Margaret Robins, the USDA continued operations on a portion of the property, while the home and adjacent land was transferred to the University of Florida as a branch campus. It was then transferred to the University of South Florida, and in the 1950’s, the home served as the first interim building of the newly organized university. The property then served as a retreat for the University of South Florida, with modern cabins and conference center being constructed. 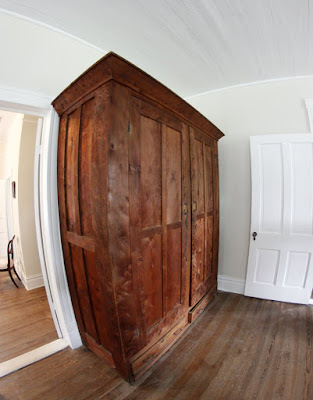 By the 2000s, it had fallen into extreme disrepair, and due to the cost, demolishing the home was being considered. Community members banded together and secured grant money, which allowed for extensive repairs and the creation of the museum, while the rest of the property still serves as a retreat and conference center. 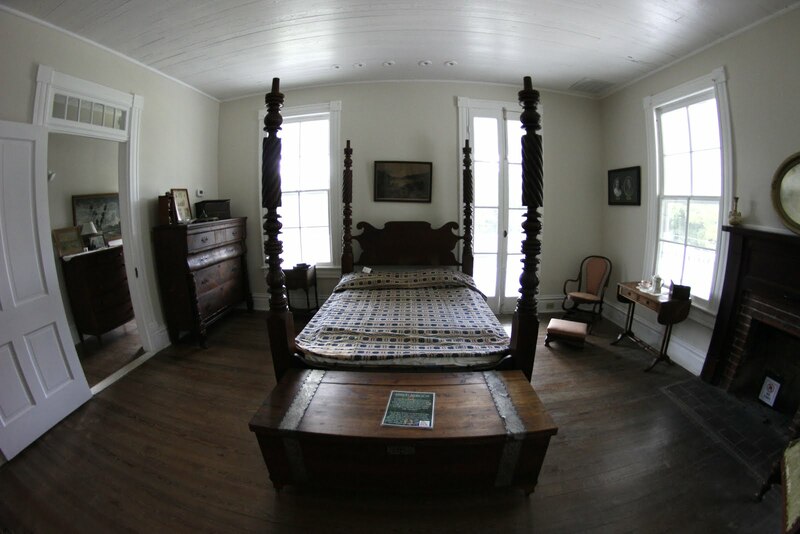 When you visit, you'll be able to look out over the beautiful vistas afforded from the porticos, and the $5.00 tour will take you through the various rooms of the old plantation house, complete with period furniture, with artifacts from the owners over the years, including a wardrobe given to Raymond Robins by V.I. Lenin himself. 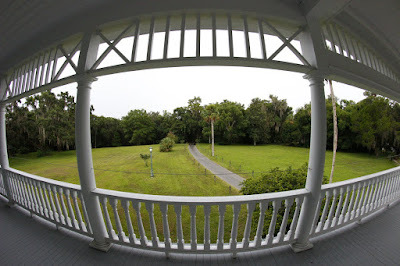 Although in most ways just another old Southern plantation house, Chinsegut Hill offers a history one would never expect to find on a sleepy road hidden in rural Florida, let alone almost any location in the country. Jim Grinaker is an attorney and lifelong Florida resident. Outside of his law practice, Jim enjoys assisting with local community, artistic, and religious organizations, and currently serves on the board of the Tampa Bay Symphony and Keep St. Pete Local. Jim earned his juris doctorate from Ave Maria School of Law, and currently lives in St. Petersburg with his two rabbits, Timmerman and Bartleby, and a cat named Marty.